I’ll admit to some nerves this morning. Some of it is from my husband who told me last night that he is feeling anxious about my surgery tomorrow, which I think is pretty normal and expected. Some of it is my very full schedule today that includes an early meeting that is compressing my time to blog. OK, a lot of it is just that there is so much to get done today! Some of it is anticipating all the new things I’m going to experience in the next 48 hours and trying to follow all the steps that are required, such as bathing tonight and tomorrow morning with germ-killing soap, not taking anything—not even an aspirin—and not eating or drinking anything past midnight. Some of it is reminding myself that I can’t hit automatic pilot and accidentally put on lotion or forget to take off my nail polish, and then there is just trying to think through all logistics. Have I missed anything? As I sat down to write and felt those nerves, I reminded myself to take a deep breath and to choose my focus. I can focus those nerves into anxiety, or I can turn those butterflies into excitement that will help keep me focused and give me the energy to get everything done. I can make this stressful by focusing on everything I have to do, or I can make this fun by prioritizing and tackling those things that I want to get done. I can make this scary by focusing on the unknowns, or I can think of this an adventure and be confident in my well-being and the great care I’ll receive from well-trained doctors and nurses at a hospital that has an awesome reputation. What I focus on is a choice, and it is my intention to use this experience to practice focusing on what I want, who I want to be, what I want to do, and how I want to feel. True freedom comes when we realize our joy is totally within our control. It doesn’t matter what the situation is. 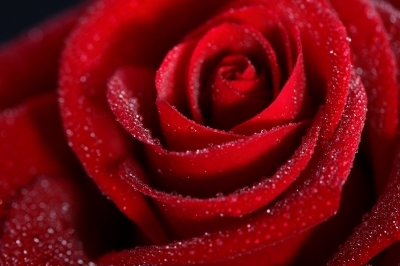 We can focus on the beautiful and aromatic rose, or we can focus on the danger and potential pain caused by the thorns. What are you focusing on? How could shifting your attention from what you don’t want to what you do want make a difference? Decide right now that today is going to be an awesome day! This entry was posted in MindBodySpirt, Surgery and tagged Appreciation, Choice, Coaching, Control, Energy, Feel, Focus, Inspiration, Joy, Law of Attraction, Mind Body Spirit, Surgery by Goss Coaching. Bookmark the permalink. Earlier this afternoon I posted about my experience with my last surgery. I chose to turn it into an adventure instead of something to become anxious about (and I doubt that my local hospital will ever attempt to fob me off again). Thank you so much! That’s my intention! It’s all good! Thank you! I’m feeling powerfully focused! Thanks, Julia! I feel good! You will do fine! I sort of let myself go with the flow around surgery…. I really freaked the night before my mastectomy… But that was because my parents kept trying to feed me grease…I didn’t think that was a good idea….The surgery was with reconstruction and was going to last 6-8 hours…. In the end I bought a box of kraft mac and cheese from the hotel and ate that. Not good for me but something I didn’t think I would see again the next day…. I focued on getting up as fast as possible …. And using the incentive sperometer (sp).. Both of these helps the lungs open back up….I expect you to be posting by Thursday…. That’s my intention! Thanks, Debbie! Best of luck with your surgery! You will be in my thoughts. Sending lots of prayers and good wishes your way, Hanna!! I believe other website owners should take this site as an example , very clean and wonderful user genial style .